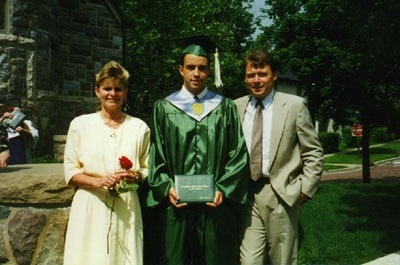 My mother, stepfather, and me, at my high school graduation. 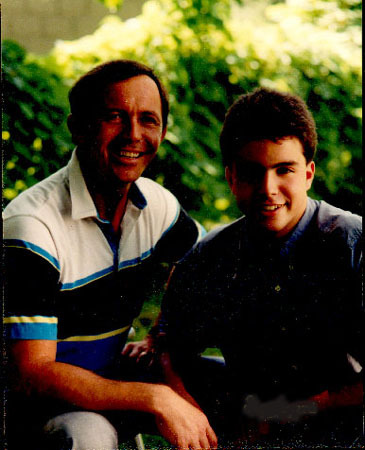 My dad and me in 1993. 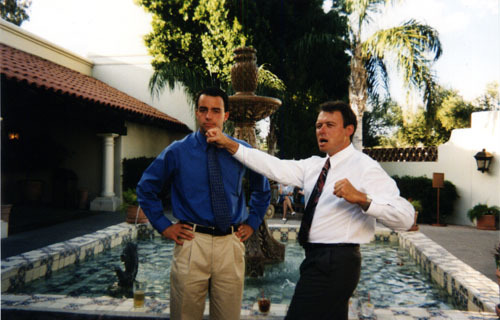 In Arizona, with cousins Laur and Jim. Child abuse at the hands of the Wacky Irishman. 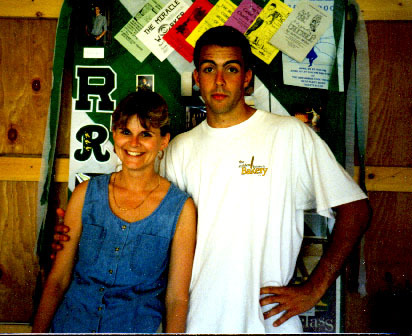 My mother and me, at my high-school graduation party. 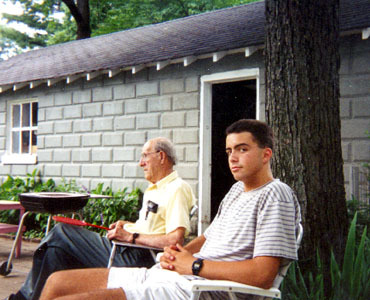 Great-Grandpa Janda and me, back in 1994. 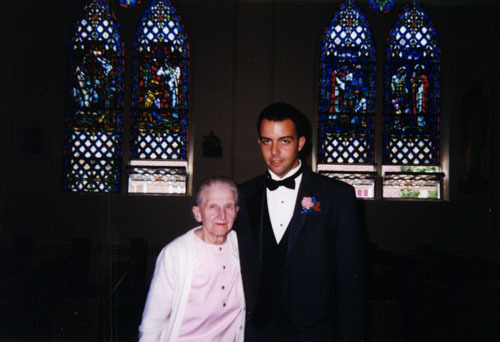 Great-Grandma Janda and me at my aunt's wedding. 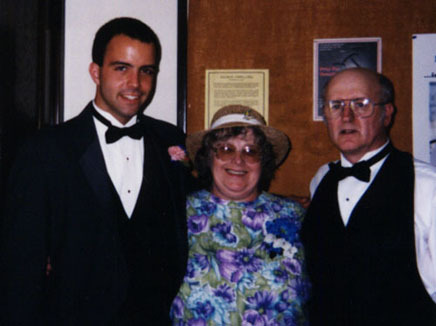 Grandma Phyllis and Grandpa Jerry. 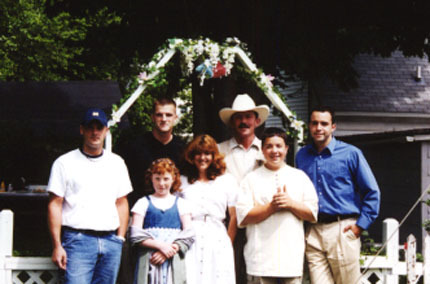 My newly-remarried father and my new stepfamily. 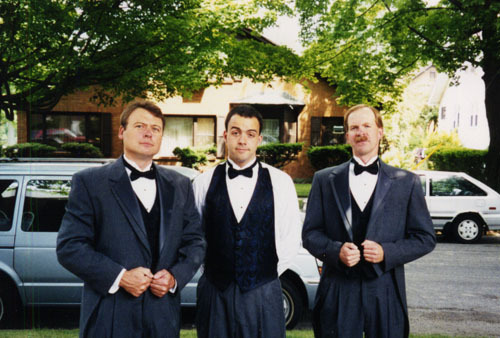 A bizarre version of the three amigos-my stepdad, myself, and Uncle Tony . 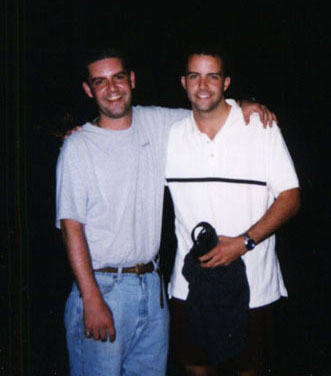 Near Alcatraz Island with my cousin David. 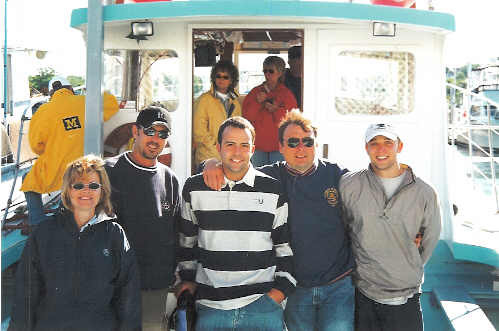 On a deep-sea fishing trip with my mother, Uncle Don, stepdad, and cousin Steven. After a successful deep-sea fishing trip near Ketchikan, Alaska.